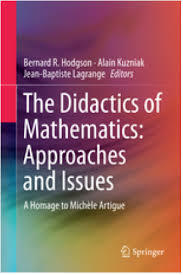 The mentoring of doctoral students towards research in mathematics education is seldom considered in scientific debates. The Artigue Colloquium provided an opportunity both for paying tribute to Michèle Artigue’s work as a supervisor of young researchers, and for engaging in a debate about this specific, complex, but crucial, mission of researchers. This chapter, beyond highlighting outcomes of the session held at the Colloquium, offers an entry into a more general reflection on the preparation of young researchers in mathematics education.